I have only recently discovered the brand Diono. Diono sell a huge range of products which help busy families, combining safety and convenience to make the perfect baby products. 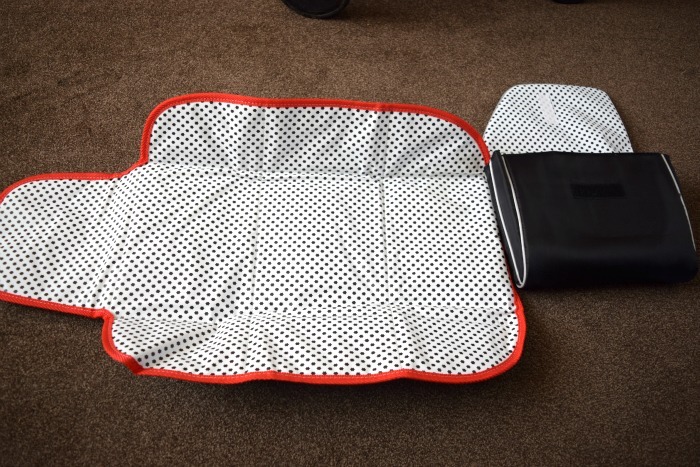 I was recently sent the Diono Travel Changer to try out and see if it is really as handy as it looks. 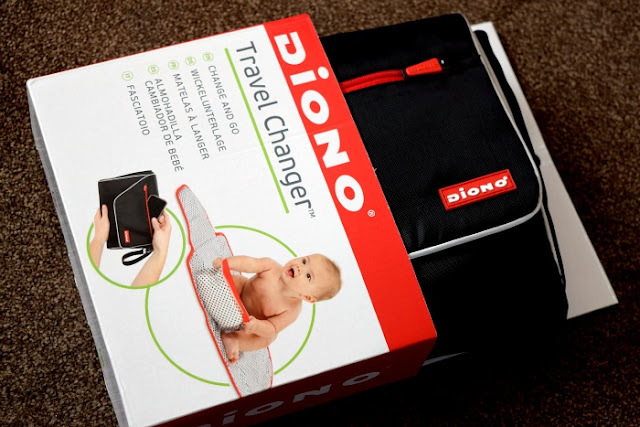 The Diono Travel Changer is a great space saving nappy changing solution. 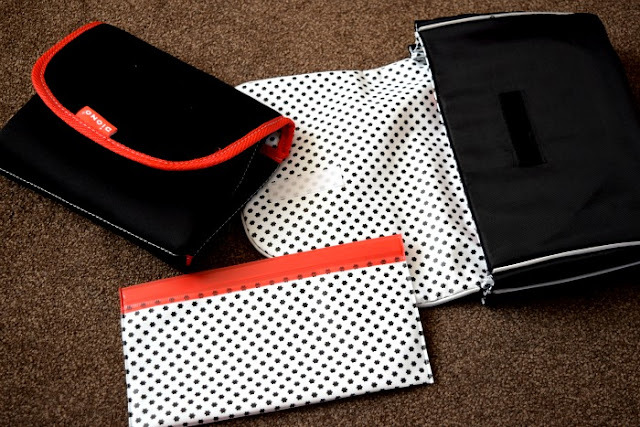 It is a clutch style bag which contains a foldable change mat, which simply velcro's open or shut for one handed access, and a reusable soft wipes pouch. It has a very handy wrist strap which can obviously hang from your wrist or could also be used to attach to a stroller/trike etc. It also has room inside for 2 or 3 nappies and a full packet of wet wipes. I thought this product would be perfect for me to attach to the pushchair on the school run. I have found myself half way to school in the morning to realise Gracie has a mixture of breakfast and toothpaste smudged around her mouth more times than I would like to admit and of course when running out in the morning I never bother picking up the change bag, we have enough to carry and fill the pushchair basket. I have also found myself 'popping in' to a friends or my Grandmas house on the way back from school just for the baby to poo and me have to run home in a panic. So the last few weeks I have tried the travel changer out to see if it makes my life a bit easier. I like to wrap the strap around the handle a few times to steady it a little as my pushchair is parent facing and the bag would likely fall near to her and she would helpfully open and empty the contents everywhere. I have only really 'needed' it a few times but those few times I really appreciated it. With Elsie teething and Zach constantly poorly, we quite often have snotty noses and with this cold weather I find they seem to get it worse. So there has been a few occasions where I would usually panic and use whatever I can find to wipe them up and I have quite handily had a pack of wet wipes in the travel changer to use instead. I have made a mental note to add a pack of tissues to the bag too. I think the travel changer would be good to keep inside a larger change bag too. 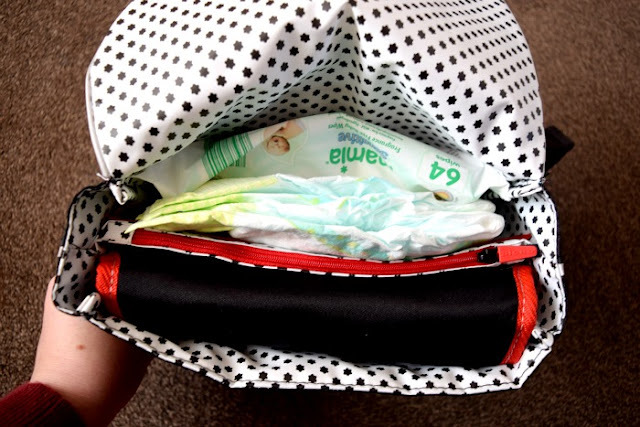 If you are out for the day and need to pop to the loo to change the baby you can simply grab the travel changer out of the main change bag to take with you and save rummaging for the things you need in the toilet whilst juggling a baby. I really do like the travel changer and can see us using it a lot. The Diono Travel Changer has a RRP of £20 and is available from Uber Kids.